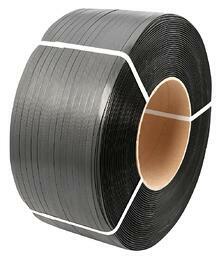 Polyester & steel strapping are a common means of unitization and bundling in the packaging industry. SOMETIMES YOU JUST NEED TO KNOW HOW AND WHERE TO START. Achieving dramatic annual savings with seemingly small changes in materials or application isn’t something that typically happens overnight. 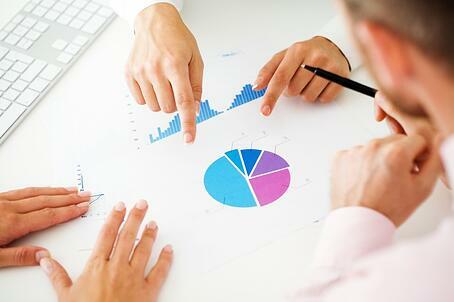 But with over 40 years experience partnering with a wide variety of businesses to identify and implement strategic programs, we’ve seen such high impact success achieved. Through our client collaborations we’ve accrued hundreds of real world studies with valuable comparison data. And because we believe it’s our responsibility to ensure existing and potential clients have easy access to core strapping data and concepts, we’ve compiled this fact sheet as a foundation. It's more than enough to get started. And, honestly, that's the most important part of the journey. Starting the process here is the first step in the right direction. The only way to learn how to ensure you’re doing the best you can for your business is understanding the fundamentals; knowing the different types of strapping available and taking into account the advantages or disadvantages of each; determining whether hand or machine application works best for your needs; and how to choose the right strap and machine for your application. It’s not an easy process, nor is it an overnight one. It’s a process that takes time, knowledge, and dedication. We can help provide the knowledge, but it’s up to you dedicate the time to do your own research and get yourself acquainted with the terminology, the systems, and the products, as well as with the advantages and disadvantages. As the person who understands your business and your industry best, you're the one who's ultimately in charge. WE'RE JUST HERE TO OFFER #PACKAGINGKNOWLEDGE. BECAUSE YOU DON'T HAVE TIME FOR THE HARD SELL. 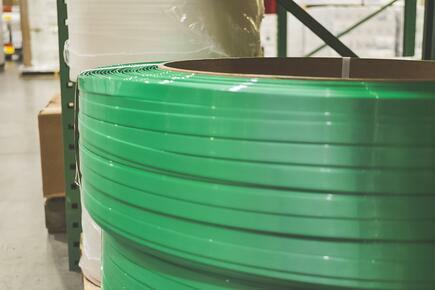 Did you know that with the dramatic increase in the cost of steel, many companies are finding that plastic or poly strapping provides the same performance at a fraction of the cost? Most of these companies are saving, on average, 78%. 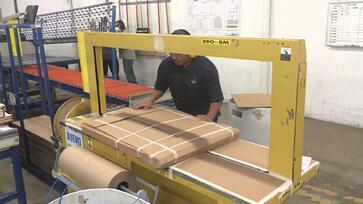 Strapping is the most commonly used means of unitization and bundling in the packaging industry. Bundling together for handling and shipping: newspapers, pipe, lumber, concrete block, etc. Attaching items to flatcars, flatbed tractor trailers, etc. Because of its long history in the packaging world, there are lots of different types of strapping today; however, most strap is made from either steel or plastic. Each has their own advantages and disadvantages, making it critical to figure out exactly what works for your specific needs. However, before we look at the different types of strapping, it is important to ensure that you are familiar with the terminology of the strapping industry. These are the common terms used to determine the right strapping product for your application and your needs. Steel is the oldest, strongest, and highest tensile strength strapping available. It is available in a variety of widths and thicknesses, as well as variations in the grade of steel. Steel is used for heavy duty holding where high strength and minimal stretch are desired, as well as when the product may be sharp or hot. Polyester is the most rigid option, offering the strongest plastic strapping, and is used as a viable alternative to steel in many industries. Polyester provides excellent retained tension on rigid loads and its excellent recovery properties help a load absorb impact without strap breakage. It retains tension over a longer period of time. If you’re still confused with all the different advantages and disadvantages listed above, ask yourself these simple questions determine which strapping method you should use for your application. Is the load heavy and stable? If so, use steel strapping. Does it need to travel a long distance? If so, use steel strapping. Will it need to be loaded and unloaded many times before destination? If so, use steel strapping. Is the load fragile, prone to devaluation if scratched? If so, use poly strapping. 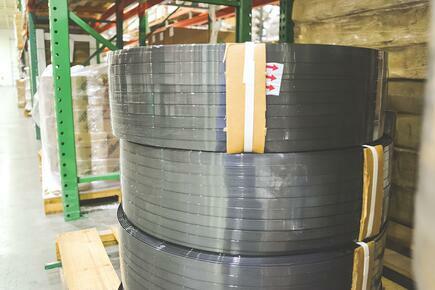 How experienced are your employees using steel strapping? If they are not very experienced, you should use poly strapping. What is your budget? 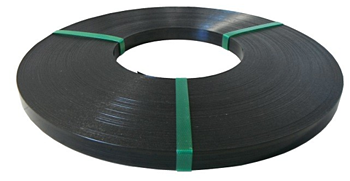 As commented, steel strapping is more expensive than poly strapping, although they are not always used for the same applications. Polypropylene strap is typically embossed, feels more like plastic, and has a matte-style finish. Polyester is a glossy, smooth strap; it does not resemble polyester fabric in any way. Since polypropylene is the most common plastic strap option, the term “poly strapping” will generally refer to polypropylene. Polyester works best when you need higher initial tension. Polypropylene is best when high initial tension is unimportant and only low retained tension is needed. There are multiple strapping application options available. Remember, good tools or machines are critical; if you’re working with something that is outdated or wrong for the application for which you’re using it, you are costing the company thousands of dollars a year in lost productivity and resources. Tools for steel strapping are always exclusive to steel strapping. 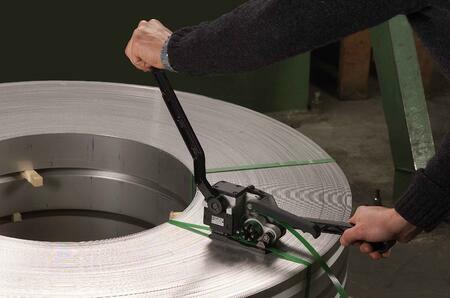 Steel strapping cannot be applied with a machine; it can only be applied by a hand-held tool. When choosing the application methods for your strapping, be careful: there are no tools or machines that cover every strap size and/or type. Some tools and machines can be used on any poly strapping, some can only be used on either polyester or polypropylene, and some can only be used on steel strapping. The hardest method is hand appliation because users are applying strap with no tools, only buckles that the strap is wound through, which is then hand-tightened. These tools rquires a tensioner, a sealer, and seals. This is the most common way of applying strapping. You tighten your strap with the tensioner and seal it with the sealer. Sounds easy, but if you’re using old hand tools, which are typically very heavy and difficult to manuever, it’s anything but easy. Workers not only have to be strong, but they must also know the proper way to use the tools to avoid injury. Hand tools can take between 2 and 3 minutes to secure just one strap. These style tools combine all the necessary operations - tensioning, sealing, and cutting - into one tool, offered in varying strengths to accommodate the unique needs of the user. Being much lighter-weight, some as light as seven pounds, means no more struggling and needless injuries. 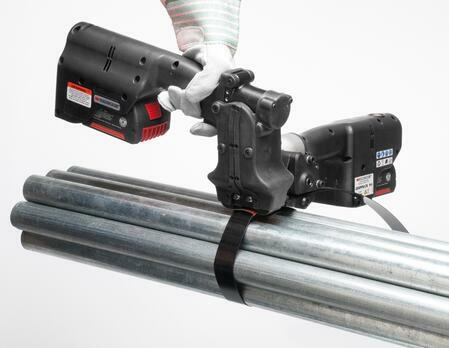 And the power aspect allows workers to secure straps up to six times faster than with a hand tool, sometimes taking as little as 30 seconds per strap. As with battery operated, these tools combine all strapping operations into one tool. However, they use compressed air pressure for power and are offered in varying strengths to accommodate the users and the type of strapping. No more injuries, no more dangerous tools. 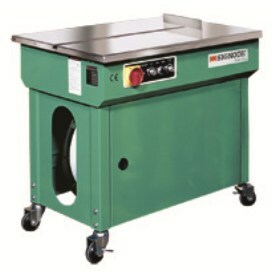 There is a variety of strapping equipment on the market today from low volume machines, including semi-automatic arch and table-top machines, to high-volume automatic machines that can be custom designed for any unique application. The selection of the proper strapping equipment for your application is critical. Ultimately, no matter how effective quality control is and how timely delivery is, if the finished product isn't packaged properly, it won’t satisfy your customer. SO, HOW AUTOMATED DO YOU NEED TO BE? There are three basic types of strapping equipment. Also known as “table top” machines, semi-automatic strapping equiment is entry level style machines used for low volume operations and usually about the size of a small desk. These can only be used with poly strapping. 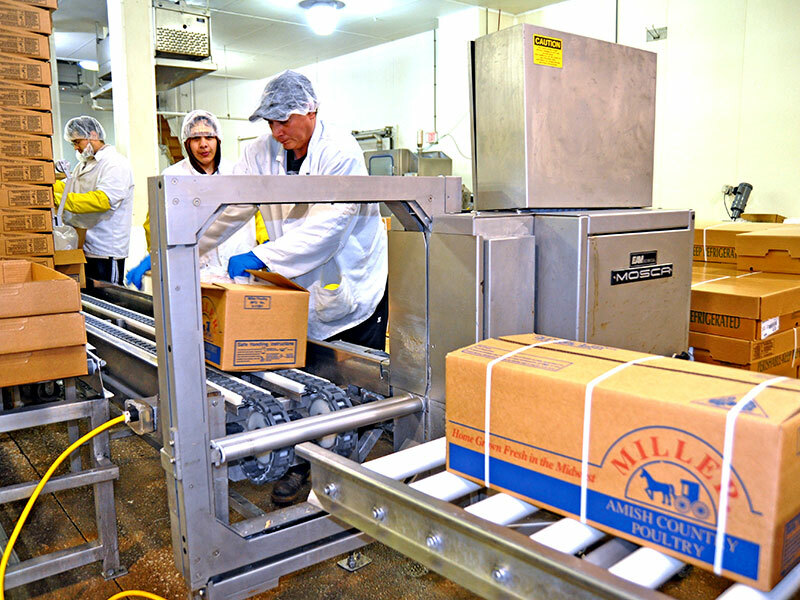 With a semi-automatic machine, an operator takes a loose end of poly strapping that has been fed from the machine, loops it around the package, and hand feeds it into the strapping and sealing area. The machine tensions the strap according to a pre-set tension, heat seals the ends together, and feeds out a pre-set length of strap for the next cycle. 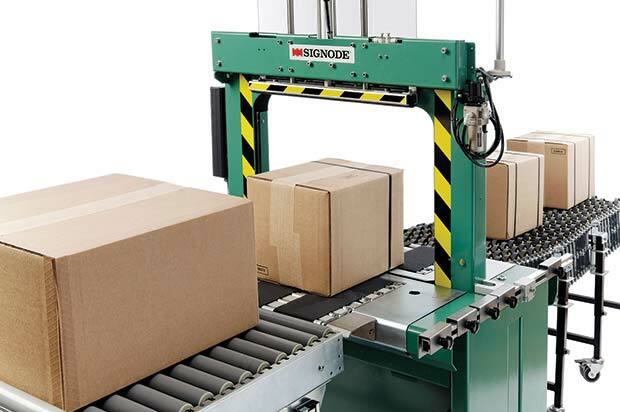 Arch strapping machines are more automated than semi-automatic machines, but still require an operator to position the package, and press an activation button to start the strapping operation. With an arch machine, the strap travels around an “arch” creating a loop before activation. When the operator activates the strapping sequence, the strap tensions, heat seals, and pre-feeds the strap for the next cycle. Arch size is critical with an arch machine, since package size is limited to what will fit under the arch. Arch machines are much faster than semi-automatic machines, less operator dependent, and, thus, more expensive. Fully automatic strapping equipment have built-in conveyor systems which carry products through the strapping process, activated by an automated device, usually a photocell. As such, they do not require an operator. Similar to the arch machines, size is critical, since package size is limited to what will fit under the arch. The critical factor with fully automatic machines is the total strap rate, which includes transit time through the conveying system. The conveyor speed of your fully automatic strapping machine must be at least as fast as your existing conveyors, but preferably faster. Don’t design a strapping bottleneck. HOW FAST DO YOU NEED TO STRAP? 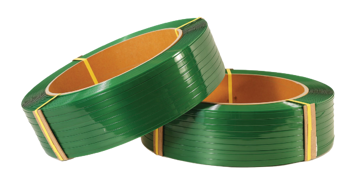 Your strapping application should match the production and packaging rate of the rest of your process. You don’t want bottlenecks at the strapping center, nor do you want to pay for speed that is not necessary. Generally, increased speed will mean increased costs; so make sure you know how much speed is necessary. The critical factor with fully automatic machines is the total strap rate, which includes transit time through the conveying system. KNOW WHAT FEATURES YOU ACTUALLY NEED ON YOUR MACHINE. There are a few options available on semi-automatic strapping equipment, but they are usually applicable to specific types of applications. There are, however, a host of options available on both arch and fully automatic units. Selecting which are appropriate for your application will determine the machine you need and your total purchase cost. More features will translate into a higher initial cost, but may also mean lower total operating costs. Auto feed: enables the operator to load the strap coil on the dispenser, and by pressing the feed switch, have the strap automatically thread through the machine. Without it, strap loading can be extremely cumbersome. But, how do you know if you need it? If you are changing a coil every month, it’s not necessary. If you’re changing a coil every day, then it’s definitely worth the investment. Jam-free auto refeed: automatically reefed the strap and reset the machine in the event of a jam or misfeed. Otherwise, someone would have to manually reset the machine if a jam occurs. Loop ejection: if the strapper is activated and there is no package, the machine will “kick out” a small loop and reset itself for the next cycle. It’s a great feature for high volume applications. Arch size: the conventional wisdom is usually to use your largest package as a guide when sizing your arch and while that’s not a bad idea, if your largest package is a small percentage of your total volume, it may be more cost effective to size your arch for your largest volume package, and strap your larger packages off line with a semi-automatic machine. Very large arches get quite expensive, and the actual cost a smaller arch and a semi-automatic machine together, may be less than the cost of an extremely large arch. A second semi-automatic gives you a back-up in the event your primary unit is down. Strap width: size the strap based first on package weight, handling characteristics, and shipping methods. Then, find a strapping machine that runs that strap size. Keep in mind that machines are set to run a certain width, and changing to a different width, if it can be done, requires considerable time and expense. 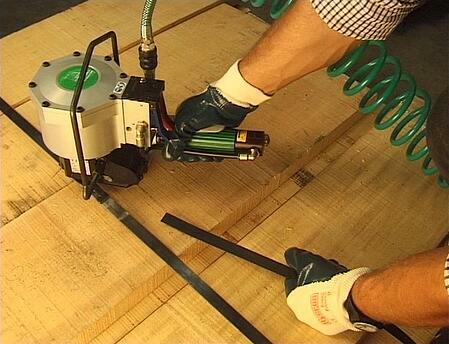 Like any piece of industrial equipment, a strapping machine requires maintenance. Use good strap. For consistent operation you need strap that is consistent in width and gauge, and has minimal curve. Many machine problems actually turn out to be strap problems. Dust is the enemy of strapping machines. A certain amount of poly dust is normal; however, to minimize its impact on the strapping machine, blow it out with compressed air on a daily basis. Stock critical parts. Every manufacturer or distributor should able to give you a list of recommended spare parts. Even if you get overnight parts service, stocking critical parts is recommended. Most repairs are relatively simple, and having the parts can get you up and running in minutes rather than hours or days. As with any machine, preventative maintenance on your strapping machine is crtical to keeping it running smoothly and optimally. But, no matter what you do, the fact of the matter is that machines breakdown; they need service and they need parts. Depending on what happens (and how proactive you’ve been in preventative maintenance), you could be looking at days or weeks down. However, today, there is a new technology available for strapping equipment: modular construction. With this entirely modular design providing unparalleled flexibility and longevity for general purpose semi- or fully automatic strapping machines, interchangeable modular components simplify maintenance and minimize service disruptions. And modules can be replaced by your own personnel, saving time and money. Individually, these parts would cost extra, if added to semi- or fully automatic strapping equipment; however, with the unique modular design, all of these units come already integrated into the machine. With no need for manufacturer provide service time and labor, as well as reductions in customer maintenance downtime and parts inventory, the cost advantages of the modular system are tangible. In addition to the maintenance benefits, a modular general purpose machine will also improve the throughput of customer operations. Eliminating the need to pull the machine from the line and replacing it will increase operation time by 30 minutes with each malfunction. We've given you the basics on steel strapping vs. poly strapping and about the types of strapping equipment; you're well on your way to making some very smart decisions about using strapping at your facility. Now is the time to dive deeper with our one of our Product Specialists. 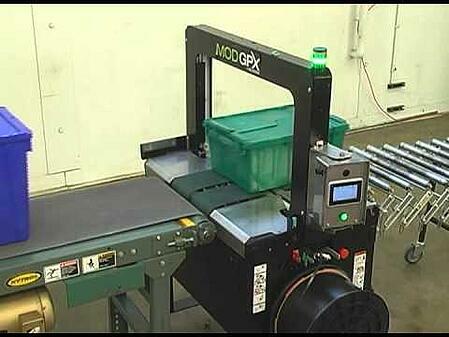 It's been proven that converting to an automated packaging system can save you time and money. Automation is the key to productivity. Download this guide today: no forms or contact info needed. Because we know that when you're ready, you'll reach out.